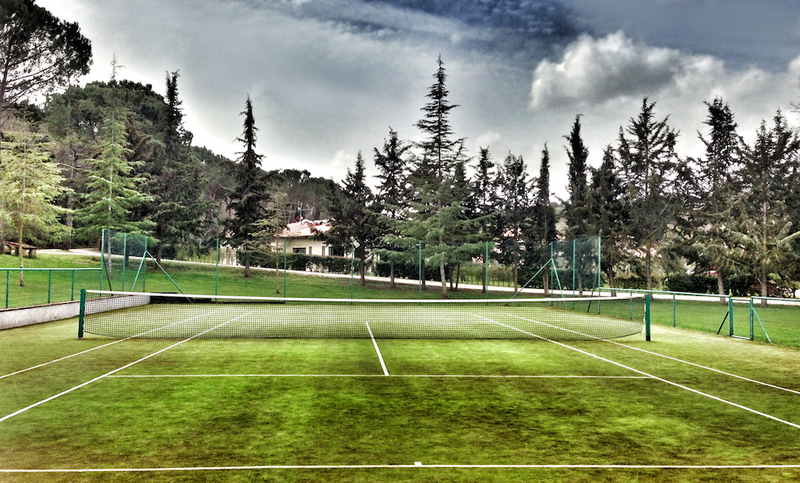 The outdoor tennis court is made of artificial grass. 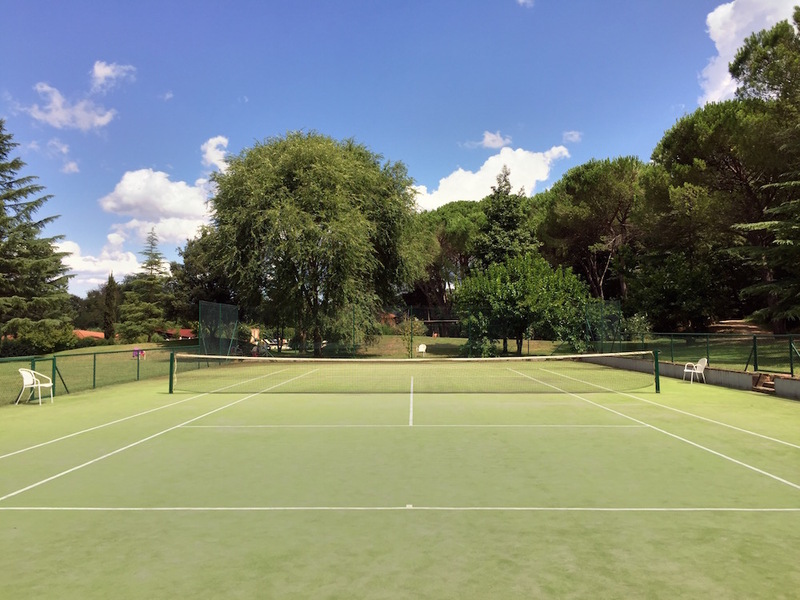 Playing tennis is one of the services included in the room rate. Tennis rackets and balls are available, free of charge, at the reception office.